The job bank will help the members of the NWA chapter know about job openings in the public relations and communications field. The job bank also benefits employers who are seeking to hire public relations and communications professionals. We’re a and join us for the next monthly meeting. We look forward to greeting you! We’re a dynamic assembly of seasoned veterans, spokespeople and communications specialists from major corporations, recent graduates new to careers, private consultants, agency representatives, researchers and non-profit leaders. Connect with us to stay up-to-date with our latest news, happenings and events. 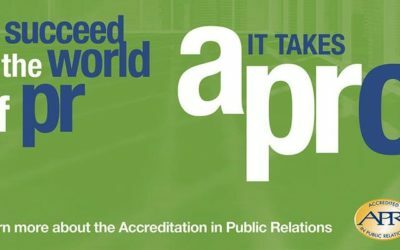 Join us on April 24 for our April meeting on Accreditation in Public Relations (APR) featuring Heather Haywood. April Program – Are You Ready to Become an APR? The Northwest Arkansas Chapter of PRSA is the leading organization for public relations professionals in the area committed to unifying, strengthening and advancing the profession. We are dedicated to enhancing the practice of public relations by promoting the professionalism of our members and fostering awareness of our contributions to the public good.